TUSUI v4.0 is now available and up to date with 4.0.1-a. Currently I have included a new addon created by myself for the use in my UI called "TUSUI_Customs". You may have noticed it in v3.0 and I never quite went into detail about it. 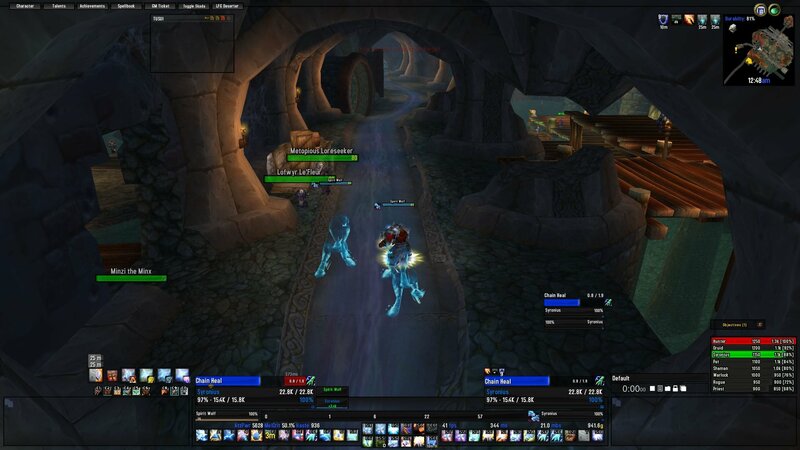 This addon is now incorporated into the UI to automatically set UI scaling and align certain elements of the UI. This includes: Battle.net Toast frame, Vehicle and Durability frames. It also now disables and hides the default raid frames, and realigns the LFG minimap button tooltip regardless of the minimap's placement. 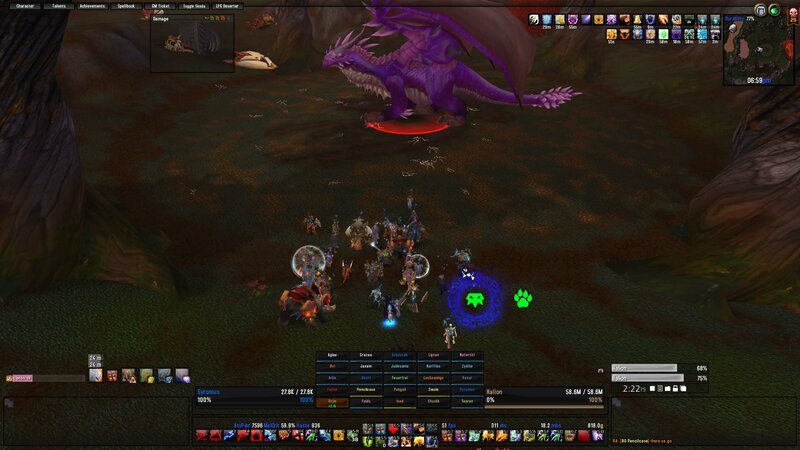 This addon now also has a "TUSUI v4.0" splash on login which can be disabled with the new "/tusui" command. The "/tusui" command can now give you a little more information about how to set up TUSUI, or get some help regarding some key addons. Thank you to all the users who've supported my efforts and all the addon authors whose work I've incorporated into my UI. The Ultimate Shaman UI Grid Layout v4.0 -- UPDATED!! The Ultimate Shaman Auras v4.0 -- UPDATED!! Grid. If you do update, please refer to this page for the proper Lua changes you'll need to make to regain the white background. Anything else that comes up on your updater will only be due to me updating the ToC to 40000 or leaving out modules I find to be uneeded or cpu heavy. If for some reason you find yourself unable to play with TUSUI, try opening up the Addon Control Panel and changing your "set". Type /acp and click on sets at the bottom left. Here you'll see some presets I made which will reduce the amount of memory use and cpu usage. If for some reason none of these profiles help your situation, you'll want to download the Addon Profiler. Once in-game, type /ap to bring the addon up. If CPU profiling is not on, enable it and reload UI. From here you'll want to set a time on the top left and start. Post any outstanding numbers here and I'll look into the issue.